National Association for the blind-India was founded in year 1952 at Bombay from the inspiration of SHRI RUSTAMJI ALPAIWAVA. Whereas under guidance of it, Shree Jagdish Patel, a branch of N.A.B was established at Ahmedabad in year 1965. Accordance to the rule of state branch, Bhavnagar got the N.A.B. Branch in year 1984 and day 14 April. In year 1989, the directors of the institute started the management of the institute and completed the registration process of the institute. Institute has held and run the Distribution of Vitamin-A. After year 1995, the institute gets the maximum level to serve the people with brail library, community based rehabilitation (C.B.R. ), vocational training center, free shop allotments, seminars and other related function, meetings between companies and people who require Jobs and many more. Every type of impaired Children were educated by the Special Teachers from the year 2000 under the central Govt. project through the IEDSS cell G.C.E.R.T.-Gandhinagar State Govt. 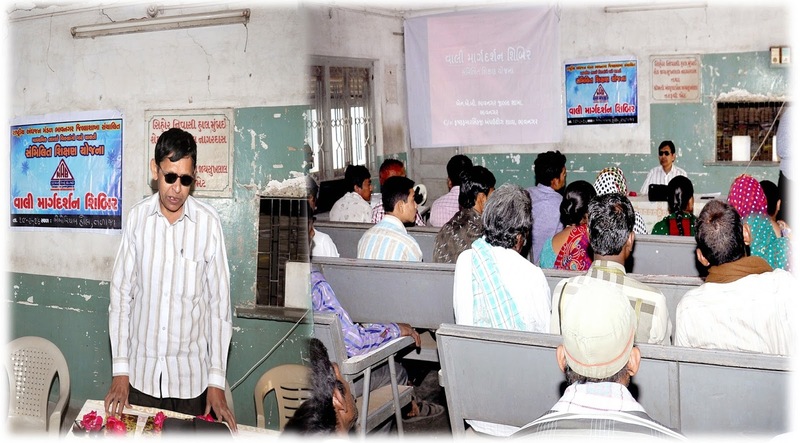 managed by National Association for the Blind-Bhavnagar District Branch. Every child should get education according to ‘Right to Education act’ Education to every type of impaired children can get through the special teacher. Rastriy Andhjan Mandal (N.A.B) heartily congratulate to the every impaired child for study. They are given proper guidance and they could he educated through the special teacher. Blindness Prevention: National Association for the Blind Branch Bhavnagar is active since 1989 in the Field of blindness prevention, Cataract glaucoma and distributing Vitamin-A and also steps has been taken by operation for Blindness Prevention. 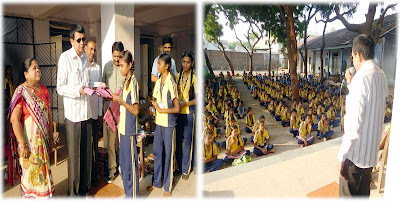 This institute also programmed for Inspection of Eyes in the schools and where it is necessary spectacles are also given to the students of Bhavnagar District. Education, Employment and Rehabilitation: Our activities are being carried out for every type of impaired children to educate under integrated education Project of Gujarat Govt. The purpose is to train them for employment, loan etc. as well as souvenir and training of Orthopedic Handicapped affecting them to live independently. Guidance for Disable children’s parents: The parents of various disabled children are informed and guided by the institution by arranging seminars about how to take care of their disabled Children. Public Awareness:- The institution runs various programs for public awareness like implementation of disability act 1995, UNCRPD act, arrangement of cultural program, exhibition, festival celebration, and celebration of various disabilities etc.